As the Finance Manager of your campus, you will automatically be responsible for payments within the platform. Invoices are sent to your email address automatically and you will have access to Billing History within the platform. 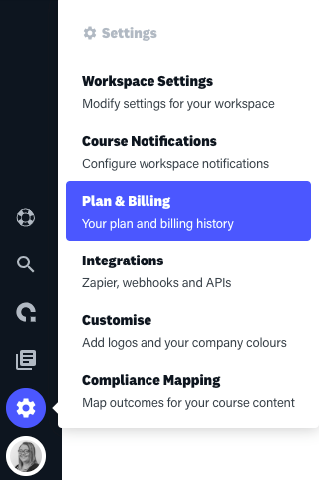 From there you can view your current plan and if your subscription is yet to be paid, or to access previous invoices. These are available to download as a PDF for your own records. Note: Only the Finance Manager can access the Billing history in the Campus. All Campus Managers can give themselves the Finance Manager permission if they require this access.